R&M Composites offer GRP fibreglass roofing systems to customers in Nottinghamshire. R&M have extensive knowledge and experience in GRP applications. The business first started producing bespoke, high-quality fibreglass products before developing into fibreglass roofing. Their GRP fibreglass manufacturing process starts in Oxton, Nottingham where they have the capacity and flexibility to supply both short or long moulding production. So, why the need for a new website? R&M Composites’ old website was focused on Fibreglass products, whereas they wanted to focus more on GRP roofing as they wanted to highlight their skills and past work. 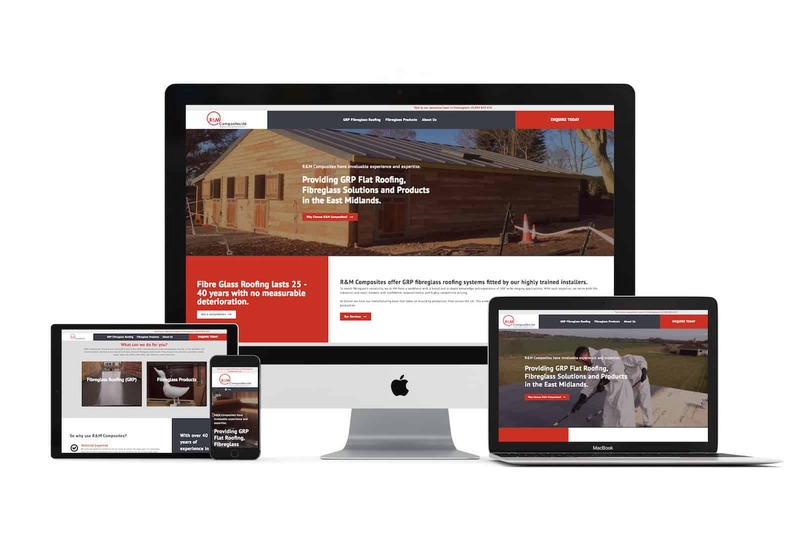 As we put UX (User Experience) design first, we split the website into 2 different sections: GRP Roofing and Fibreglass products. This helped the ease of use and for visitors to easily navigate the website. Creative Asset kept the branding and fonts consistent to help distinguish their brand, values and offerings. We also used a clear call to action, which encouraged users to contact R&M Composites on every page.